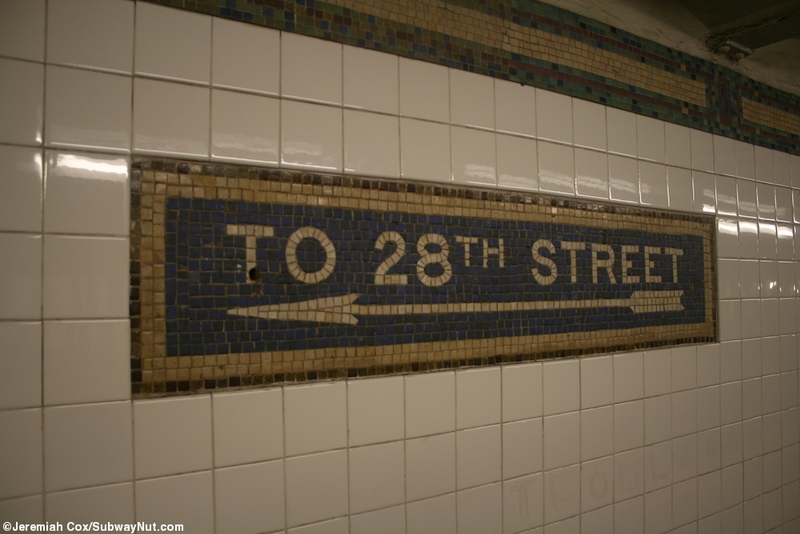 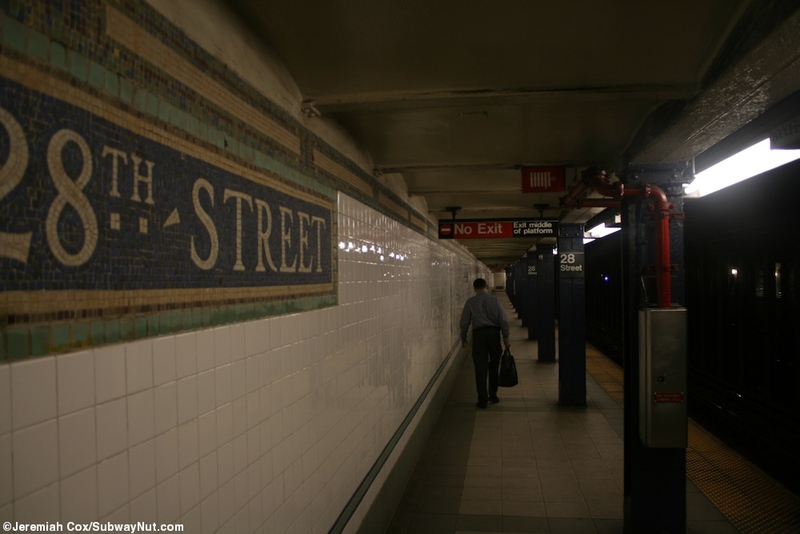 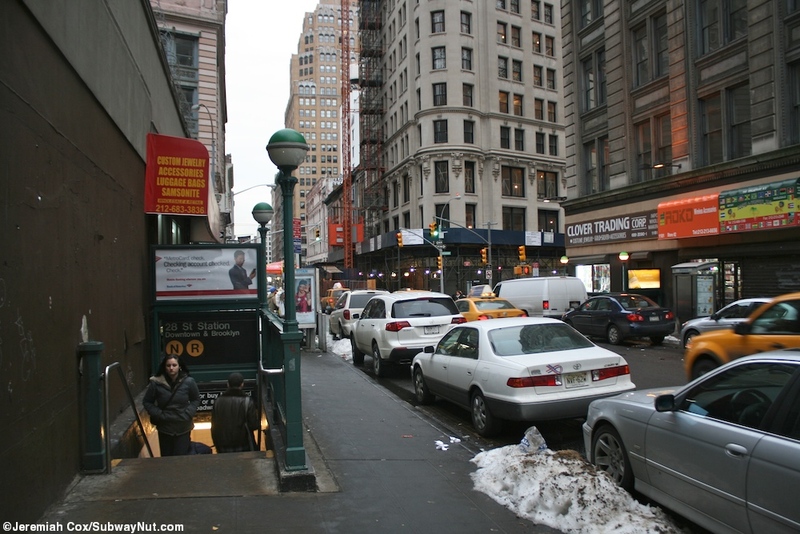 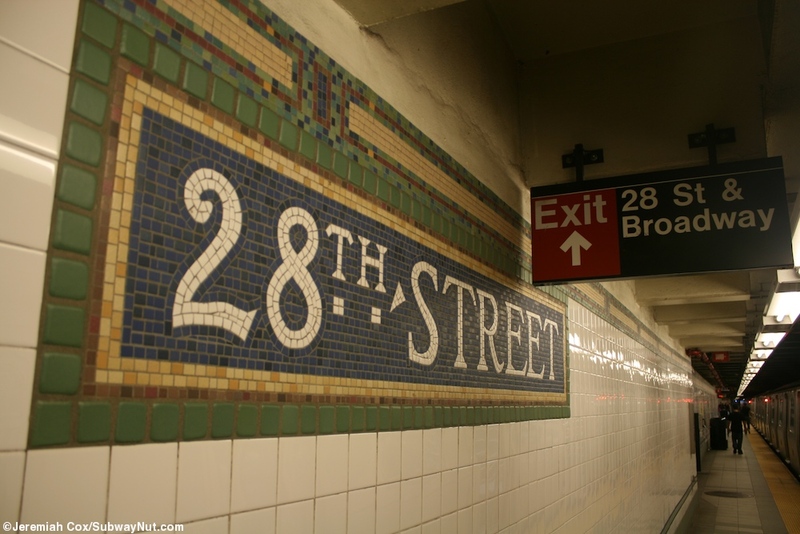 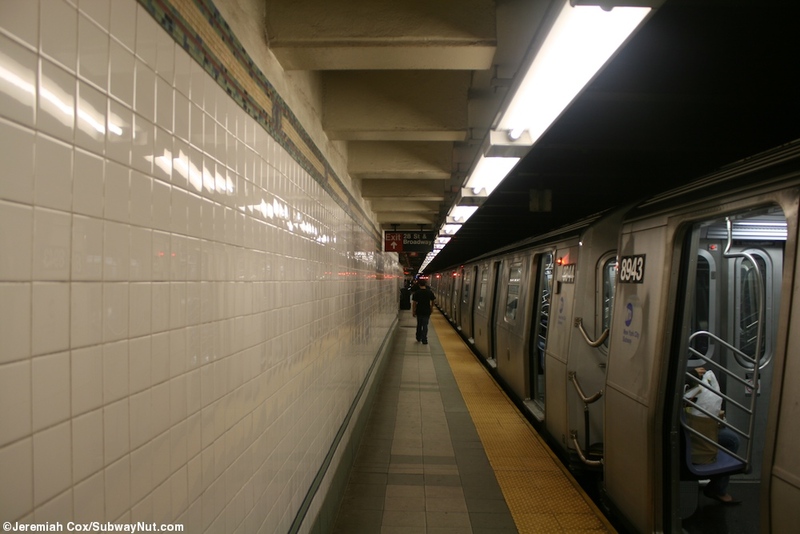 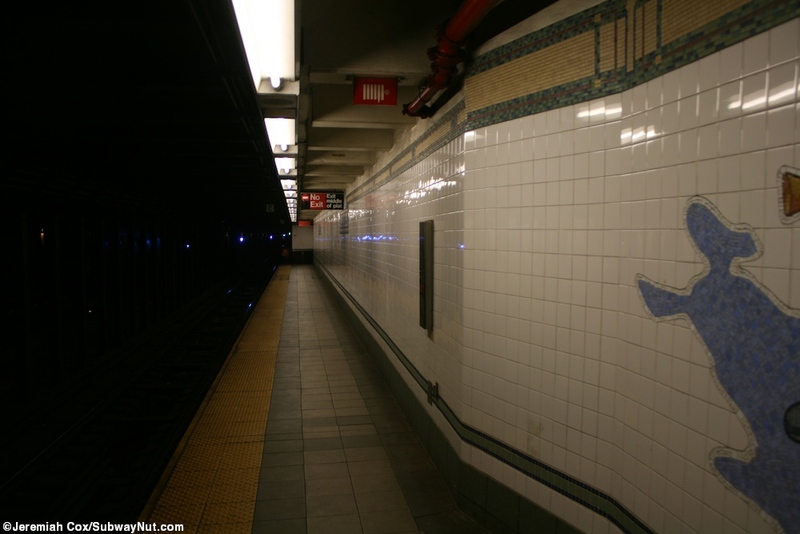 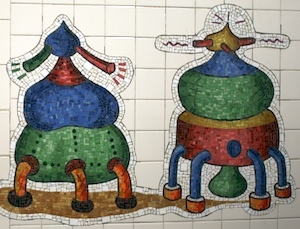 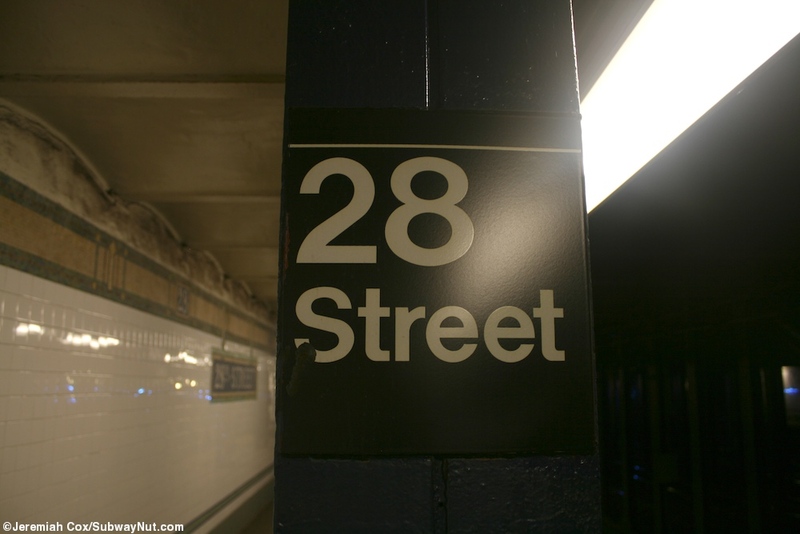 28 Street is a local stop on the Broadway Line with two side platforms for the four-track line. 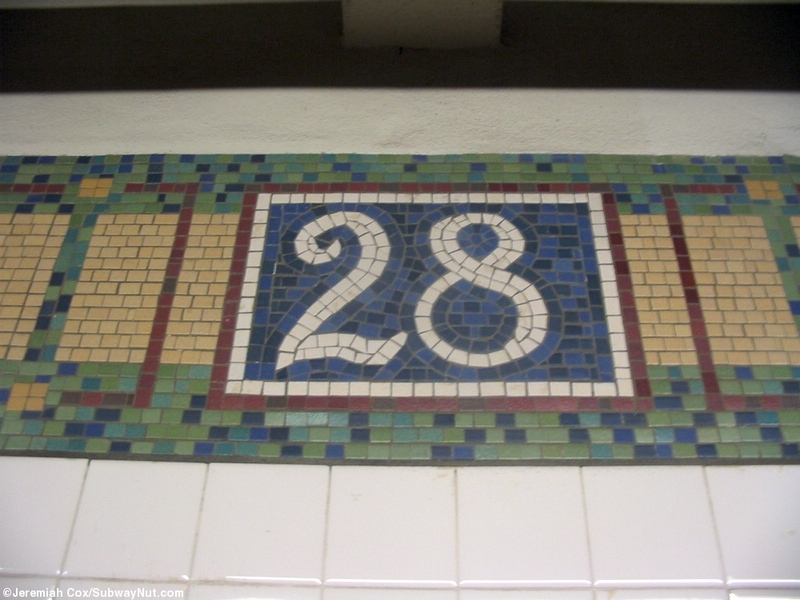 The decor is a gold with blue and green boarder trimline, and 28 in white on green along it. 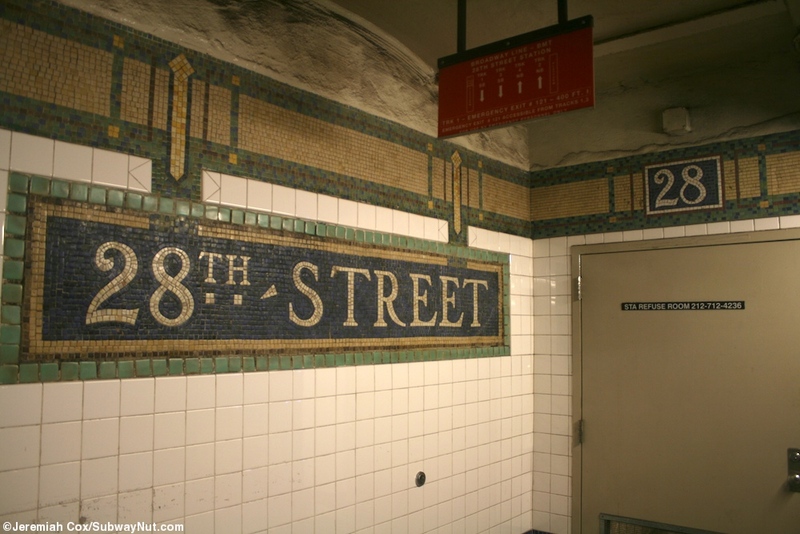 Name tablets say 28TH Street on blue with a gold inner and green outer boarder. 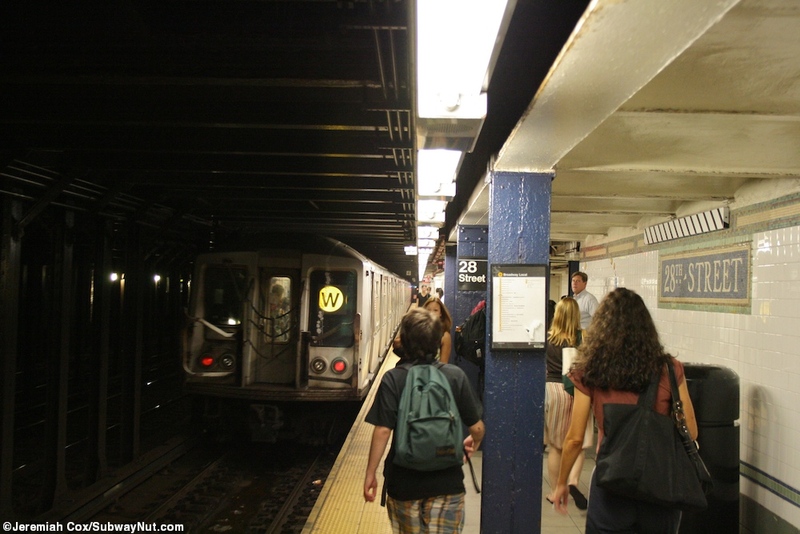 These platforms are narrow at their ends and wider in their midsections where there are blue columns. 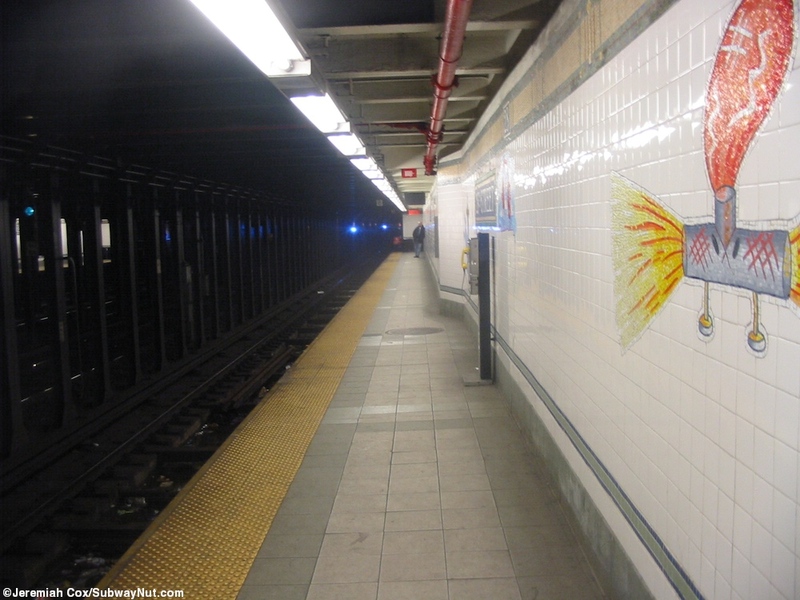 Each platform has a single on platform exit at this area. 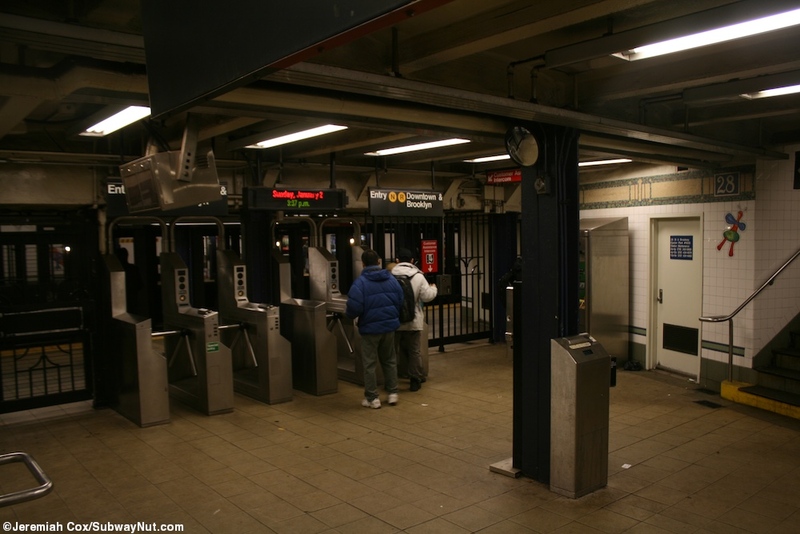 The downtown platform is now unstaffed with the token booth removed and leads out to two street stairs at the NW and SW corners and the uptown platform has turnstiles and the 24 hour token booth and streetstairs to the NE and SE corners of 28 Street and Broadway.